Thank you to Refinery 29, who included The Light We Lost in their list of the best love stories to curl up with this summer. More Than Words cover & excerpt reveal! ‪I can’t even express how excited I am to share the cover and an excerpt of my next book, More Than Words, with everyone. Thank you to USA Today for the reveal. A few authors–including me–recommended some books to get dads for Father’s Day. If you happen to be looking or some books for dads at any time of the year, you can check these out. Well + Good included The Light We Lost in this list of perfect books for summer reading. Thank you so much to them for doing that! Are you in a book club? Have you checked out Book Club Central? I wrote a little post over there about what it’s like to be a book club guest and some thoughts on what you can do if your book club is reading The Light We Lost. This happened. And I raced around my neighborhood for a copy of People so I could see The Light We Lost in there in person. 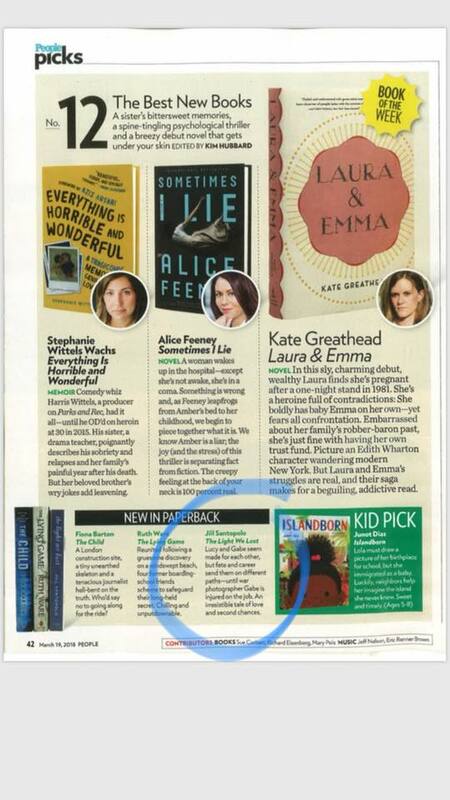 The Light We Lost made the “Best Books We Read in February” list on Paperback Paris! Thank you to Madison who chose it. 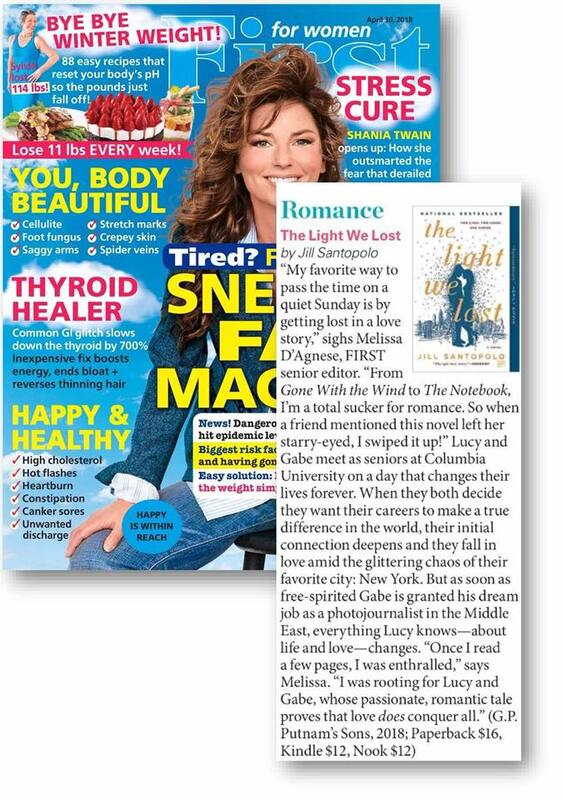 Over on the The Today Show website, they called The Light We Lost one of the 12 best books to read on a long flight!